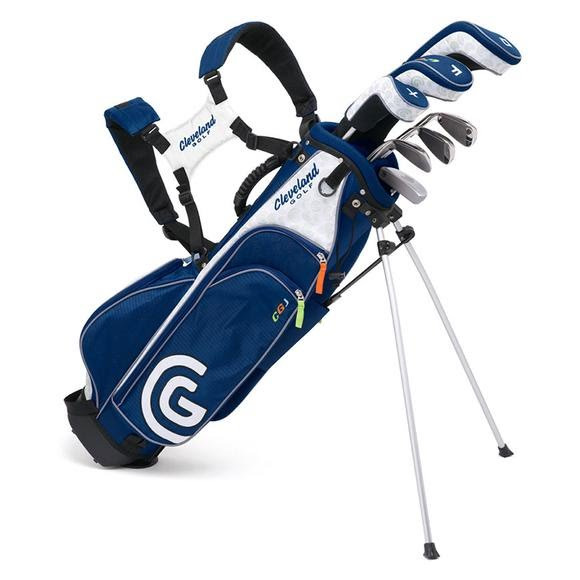 Cleveland Golf's Junior Sets make it easy for youngsters to grow into a game they can enjoy for a lifetime. With clubs optimized for youth from 54"-63" in height, each junior club features similar technology found in Cleveland Golf's standard adult equipment. Cleveland Golf&apos;s Junior Sets make it easy for youngsters to grow into a game they can enjoy for a lifetime. With clubs optimized for youth from 54"-63" in height, each junior club features similar technology found in Cleveland Golf&apos;s standard adult equipment.